We've raved about the usability of a well mainted W123 Mercedes-Benz in the past, so we won't get all goey and rave about how cool they are...instead we will tell you that they are stinky, slow and expensive to fix...but this one is just so cheap that we can't help but drool!! 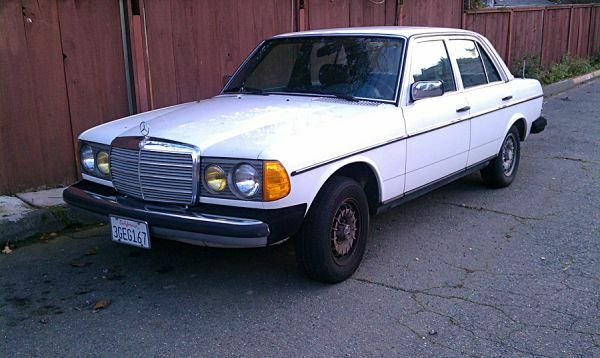 This 1982 Mercedes-Benz 300D W123 Turbo Diesel is for sale in Daly City, CA, currently bidding on ebay for $1,635 with 3 days to go (buy it now $3,300). 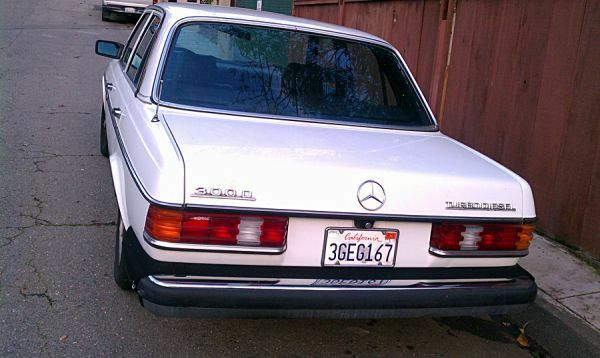 This W123 is just getting broken in, with 213k miles on the odometer. Its original paint looks good, with no 'obvious' signs of rust according to the seller, and it wears 1994 issue California license plates - so it would be important to understand if it went somewhere 'salty' when it was outside of CA. Regardless, W123s aren't particularly prone to rust and were undercoated quite well from the factory. This W123 is powered by the crown jewel of diesel Mercedes power-plants, the OM617a, a 3.0 liter inline 5 cylinder turbocharged diesel engine. The OM617a puts out 123 horsepower and 181 ft-lbs of torque in stock form and can give fantastic fuel economy to a patient driver. But these engines are entirely mechanical and can be tuned for more power with modifications to the inline fuel pump and turbocharger, which would make a W123 much more likely to accelerate past its own cloud of black smoke. 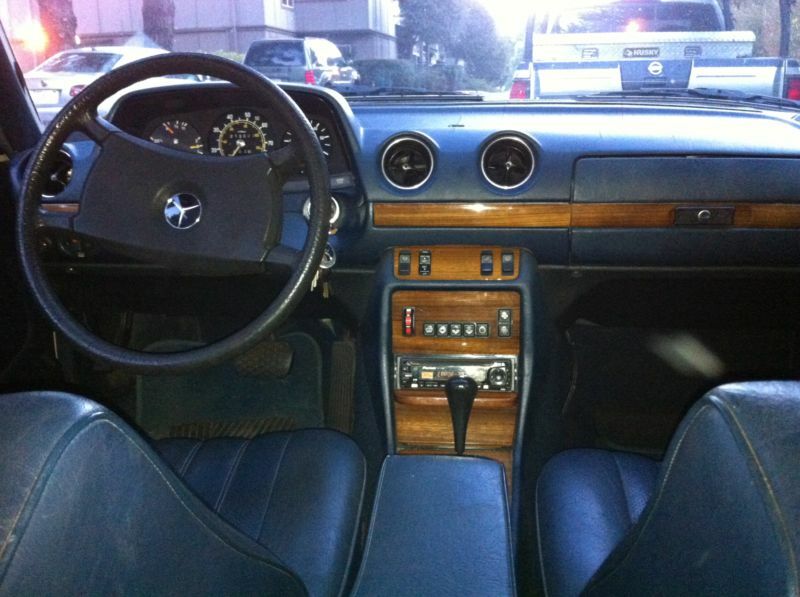 The inside of this Mercedes looks nice - the original MB Tex upholstery shows minimal signs of wear, the standard genuine Zebrano wood trim looks good and even the dash is crack free. These vintage Mercedes were really built well from the factory; this 30 year old machine shows much better than a 15 year old example from the same manufacturer, with half the miles. Having owned a half a dozen of these and still driving a pristine '82 300CD (coup version of this car), I can truthfully say that if you are a shade tree mechanic you can service and repair this car. 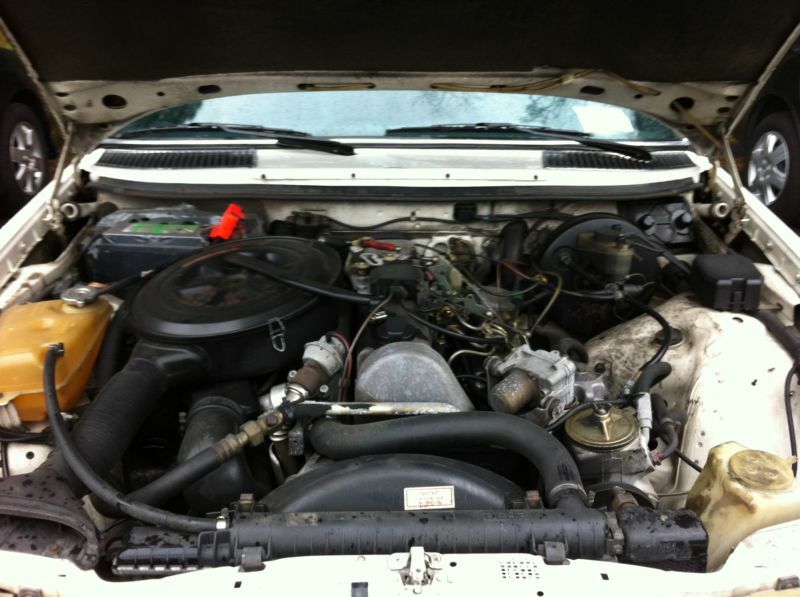 Parts are readily available and not too expensive. The secret to good performance is a proper valve adjustment and a proper injector pump timing, both easy to do with the correct tools. Clean fuel filters are a must also.